All spacecraft that have left Earth orbit for the purposes of Solar System exploration (or were launched with that intention but failed), including lunar probes. Centuries of terrestrial telescopic observation. The great majority of Earth-orbiting satellites. Space probes leaving Earth orbit that are not concerned with Solar System exploration (such as space telescopes targeted at distant galaxies, cosmic background radiation observatories, and so on). Probes that failed at launch. The dates listed are launch dates, but the achievements noted may have occurred some time later—in some cases, a considerable time later (for example, Voyager 2, launched 20 August 1977, did not reach Neptune until 1989). Exploration Flight Test 1 5 December 2014 Unmanned Earth orbital test of Orion interplanetary vehicle. SpaceIL Beresheet 22 February 2019 Private lunar lander, mission unsuccessful but impacts moon returning no pictures. Out of the Cradle (book) - scientific speculation on future missions. 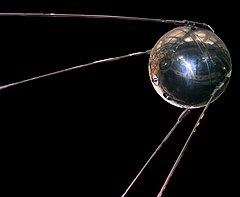 ^ "Sputnik 1". nssdc.gsfc.nasa.gov. Retrieved 15 April 2019. ^ a b "Sputnik | satellites". Encyclopedia Britannica. Retrieved 15 April 2019. ^ "Sputnik 2". nssdc.gsfc.nasa.gov. Retrieved 15 April 2019. ^ Garcia, Mark (6 November 2017). "60 years ago: The First Animal in Orbit". NASA. Retrieved 15 April 2019. ^ "Explorer 1". nssdc.gsfc.nasa.gov. Retrieved 15 April 2019. ^ "Vanguard 1". nssdc.gsfc.nasa.gov. Retrieved 15 April 2019. ^ "Luna 1". nssdc.gsfc.nasa.gov. Retrieved 15 April 2019. ^ Cavallaro, Umberto (5 October 2018). The Race to the Moon Chronicled in Stamps, Postcards, and Postmarks: A Story of Puffery vs. the Pragmatic. Springer. p. 46. ISBN 9783319921532. ^ JR, Wesley T. Huntress; Marov, Mikhail Ya (28 June 2011). Soviet Robots in the Solar System: Mission Technologies and Discoveries. Springer Science & Business Media. p. 77. ISBN 9781441978981. ^ a b c d e f g h "Luna | space probe". Encyclopedia Britannica. Retrieved 15 April 2019. ^ "Pioneer 4". nssdc.gsfc.nasa.gov. Retrieved 15 April 2019. ^ "In Depth | Pioneer 4". Solar System Exploration: NASA Science. Retrieved 15 April 2019. ^ "Luna 2". nssdc.gsfc.nasa.gov. Retrieved 15 April 2019. ^ "Luna 3". nssdc.gsfc.nasa.gov. Retrieved 15 April 2019. ^ "Pioneer 5". nssdc.gsfc.nasa.gov. Retrieved 15 April 2019. ^ "In Depth | Pioneer 5". Solar System Exploration: NASA Science. Retrieved 15 April 2019. ^ "Venera 1". nssdc.gsfc.nasa.gov. Retrieved 15 April 2019. ^ a b c d e f g h i j k l m n o p "Venera | Soviet space probes". Encyclopedia Britannica. Retrieved 15 April 2019. ^ Wright, John (23 May 2006). The New York Times Almanac 2002. Routledge. p. 1649. ISBN 9781135455866. 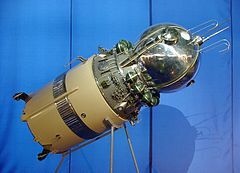 ^ "Vostok 1". nssdc.gsfc.nasa.gov. Retrieved 15 April 2019. ^ "Vostok | Soviet spacecraft". Encyclopedia Britannica. Retrieved 15 April 2019. ^ "Mercury Redstone 3". nssdc.gsfc.nasa.gov. Retrieved 15 April 2019. ^ "Ranger 1". nssdc.gsfc.nasa.gov. Retrieved 15 April 2019. ^ "In Depth | Ranger 1". Solar System Exploration: NASA Science. Retrieved 15 April 2019. ^ a b c d e "Ranger | space probe". Encyclopedia Britannica. Retrieved 15 April 2019. ^ "Ranger 2". nssdc.gsfc.nasa.gov. Retrieved 15 April 2019. ^ "In Depth | Ranger 2". Solar System Exploration: NASA Science. Retrieved 15 April 2019. ^ "Ranger 3". nssdc.gsfc.nasa.gov. Retrieved 15 April 2019. ^ "In Depth | Ranger 3". Solar System Exploration: NASA Science. Retrieved 15 April 2019. ^ "Mercury Atlas 6". nssdc.gsfc.nasa.gov. Retrieved 16 April 2019. ^ Williamson, Mark (1998). "Protecting the space environment: Are we doing enough?". Space Policy. 14 (1): 5–8. doi:10.1016/S0265-9646(97)00038-6. ^ "Ranger 4". nssdc.gsfc.nasa.gov. Retrieved 15 April 2019. ^ "In Depth | Ranger 4". Solar System Exploration: NASA Science. Retrieved 15 April 2019. 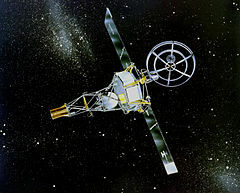 ^ "Mariner 2". nssdc.gsfc.nasa.gov. Retrieved 15 April 2019. ^ "In Depth | Mariner 02". Solar System Exploration: NASA Science. Retrieved 15 April 2019. 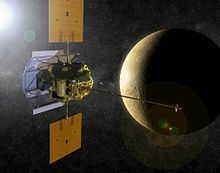 ^ "Missions to Venus and Mercury". www.planetary.org. Retrieved 15 April 2019. ^ "Ranger 5". nssdc.gsfc.nasa.gov. Retrieved 15 April 2019. ^ "In Depth | Ranger 5". Solar System Exploration: NASA Science. Retrieved 15 April 2019. ^ "Mars 1". nssdc.gsfc.nasa.gov. Retrieved 16 April 2019. ^ "In Depth | Mars 01". Solar System Exploration: NASA Science. Retrieved 16 April 2019. ^ "Luna 4". nssdc.gsfc.nasa.gov. Retrieved 15 April 2019. ^ "In Depth | Luna 04". Solar System Exploration: NASA Science. Retrieved 16 April 2019. ^ "Cosmos 21". nssdc.gsfc.nasa.gov. Retrieved 16 April 2019. ^ "Ranger 6". nssdc.gsfc.nasa.gov. Retrieved 15 April 2019. ^ "In Depth | Ranger 6". Solar System Exploration: NASA Science. Retrieved 15 April 2019. ^ "Zond 1". nssdc.gsfc.nasa.gov. Retrieved 16 April 2019. ^ "In Depth | Zond 1". Solar System Exploration: NASA Science. Retrieved 16 April 2019. ^ a b c d e f g h "Zond | space probe". Encyclopedia Britannica. Retrieved 16 April 2019. ^ "Ranger 7". nssdc.gsfc.nasa.gov. Retrieved 15 April 2019. ^ "In Depth | Ranger 7". Solar System Exploration: NASA Science. Retrieved 15 April 2019. ^ "Voskhod 1". nssdc.gsfc.nasa.gov. Retrieved 16 April 2019. 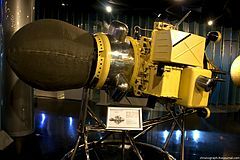 ^ a b "Voskhod | spacecraft". Encyclopedia Britannica. Retrieved 16 April 2019. ^ "Mariner 3". nssdc.gsfc.nasa.gov. Retrieved 15 April 2019. ^ "In Depth | Mariner 03". Solar System Exploration: NASA Science. Retrieved 15 April 2019. ^ "Mariner 4". nssdc.gsfc.nasa.gov. Retrieved 15 April 2019. ^ "In Depth | Mariner 04". Solar System Exploration: NASA Science. Retrieved 15 April 2019. ^ "Zond 2". nssdc.gsfc.nasa.gov. Retrieved 16 April 2019. ^ "In Depth | Zond 2". Solar System Exploration: NASA Science. Retrieved 16 April 2019. ^ "Ranger 8". nssdc.gsfc.nasa.gov. Retrieved 15 April 2019. ^ "In Depth | Ranger 8". Solar System Exploration: NASA Science. Retrieved 15 April 2019. ^ "Voskhod 2". nssdc.gsfc.nasa.gov. Retrieved 16 April 2019. ^ "Ranger 9". nssdc.gsfc.nasa.gov. Retrieved 15 April 2019. ^ "In Depth | Ranger 9". Solar System Exploration: NASA Science. Retrieved 15 April 2019. ^ "LCS 1". nssdc.gsfc.nasa.gov. Retrieved 16 April 2019. ^ "Luna 5". nssdc.gsfc.nasa.gov. Retrieved 15 April 2019. ^ "Luna 6". nssdc.gsfc.nasa.gov. Retrieved 15 April 2019. ^ "Zond 3". nssdc.gsfc.nasa.gov. Retrieved 16 April 2019. ^ "In Depth | Zond 3". Solar System Exploration: NASA Science. Retrieved 16 April 2019. ^ "Luna 7". nssdc.gsfc.nasa.gov. Retrieved 15 April 2019. ^ "Venera 2". nssdc.gsfc.nasa.gov. Retrieved 15 April 2019. ^ "Venera 3". nssdc.gsfc.nasa.gov. Retrieved 15 April 2019. ^ "Luna 8". nssdc.gsfc.nasa.gov. Retrieved 15 April 2019. ^ "Pioneer 6". nssdc.gsfc.nasa.gov. Retrieved 16 April 2019. ^ "In Depth | Pioneer 06". Solar System Exploration: NASA Science. Retrieved 16 April 2019. ^ "Pioneer | space probes". Encyclopedia Britannica. Retrieved 16 April 2019. ^ a b c d American Astronautical Society (23 August 2010). Space Exploration and Humanity: A Historical Encyclopedia [2 volumes]: A Historical Encyclopedia. ABC-CLIO. p. 244. ISBN 9781851095193. ^ "Luna 9". nssdc.gsfc.nasa.gov. Retrieved 15 April 2019. ^ "AS-201". nssdc.gsfc.nasa.gov. Retrieved 16 April 2019. ^ "Luna 10". nssdc.gsfc.nasa.gov. Retrieved 15 April 2019. ^ "Surveyor 1". nssdc.gsfc.nasa.gov. Retrieved 16 April 2019. ^ a b "Surveyor | space probe". Encyclopedia Britannica. Retrieved 16 April 2019. ^ "In Depth | Surveyor 1". Solar System Exploration: NASA Science. Retrieved 16 April 2019. ^ "Explorer 33". nssdc.gsfc.nasa.gov. Retrieved 16 April 2019. ^ "In Depth | Explorer 33". Solar System Exploration: NASA Science. Retrieved 16 April 2019. ^ "Lunar Orbiter 1". nssdc.gsfc.nasa.gov. Retrieved 16 April 2019. ^ "In Depth | Lunar Orbiter 1". Solar System Exploration: NASA Science. Retrieved 16 April 2019. ^ a b "Lunar Orbiter | spacecraft". Encyclopedia Britannica. Retrieved 16 April 2019. ^ "Pioneer 7". nssdc.gsfc.nasa.gov. Retrieved 16 April 2019. ^ "In Depth | Pioneer 07". Solar System Exploration: NASA Science. Retrieved 16 April 2019. ^ "Luna 11". nssdc.gsfc.nasa.gov. Retrieved 15 April 2019. ^ "Surveyor 2". nssdc.gsfc.nasa.gov. Retrieved 16 April 2019. ^ "In Depth | Surveyor 2". Solar System Exploration: NASA Science. Retrieved 16 April 2019. ^ "Luna 12". nssdc.gsfc.nasa.gov. Retrieved 15 April 2019. 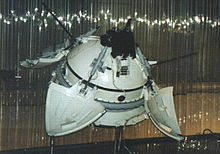 ^ "Lunar Orbiter 2". nssdc.gsfc.nasa.gov. Retrieved 16 April 2019. ^ "In Depth | Lunar Orbiter 2". Solar System Exploration: NASA Science. Retrieved 16 April 2019. ^ "Luna 13". nssdc.gsfc.nasa.gov. Retrieved 15 April 2019. ^ "Lunar Orbiter 3". nssdc.gsfc.nasa.gov. Retrieved 16 April 2019. ^ "In Depth | Lunar Orbiter 3". Solar System Exploration: NASA Science. Retrieved 16 April 2019. ^ "Surveyor 3". nssdc.gsfc.nasa.gov. Retrieved 16 April 2019. ^ "In Depth | Surveyor 3". Solar System Exploration: NASA Science. Retrieved 16 April 2019. ^ "Lunar Orbiter 4". nssdc.gsfc.nasa.gov. Retrieved 16 April 2019. ^ "In Depth | Lunar Orbiter 4". Solar System Exploration: NASA Science. Retrieved 16 April 2019. ^ "Venera 4". nssdc.gsfc.nasa.gov. Retrieved 15 April 2019. ^ "Mariner 5". nssdc.gsfc.nasa.gov. Retrieved 16 April 2019. ^ "In Depth | Mariner 05". Solar System Exploration: NASA Science. Retrieved 16 April 2019. ^ "Surveyor 4". nssdc.gsfc.nasa.gov. Retrieved 16 April 2019. ^ "In Depth | Surveyor 4". Solar System Exploration: NASA Science. Retrieved 16 April 2019. ^ "Explorer 35". nssdc.gsfc.nasa.gov. Retrieved 16 April 2019. ^ "Lunar Orbiter 5". nssdc.gsfc.nasa.gov. Retrieved 16 April 2019. ^ "In Depth | Lunar Orbiter 5". Solar System Exploration: NASA Science. Retrieved 16 April 2019. ^ "Surveyor 5". nssdc.gsfc.nasa.gov. Retrieved 16 April 2019. ^ "In Depth | Surveyor 5". Solar System Exploration: NASA Science. Retrieved 16 April 2019. ^ "Surveyor 6". nssdc.gsfc.nasa.gov. Retrieved 16 April 2019. ^ "In Depth | Surveyor 6". Solar System Exploration: NASA Science. Retrieved 16 April 2019. ^ "Apollo 4". nssdc.gsfc.nasa.gov. Retrieved 20 April 2019. ^ "Pioneer 8". nssdc.gsfc.nasa.gov. Retrieved 16 April 2019. ^ "In Depth | Pioneer 08". Solar System Exploration: NASA Science. Retrieved 16 April 2019. ^ "Surveyor 7". nssdc.gsfc.nasa.gov. Retrieved 16 April 2019. ^ "In Depth | Surveyor 7". Solar System Exploration: NASA Science. Retrieved 16 April 2019. ^ "Apollo 5". nssdc.gsfc.nasa.gov. Retrieved 20 April 2019. ^ "Apollo 5 LM-1/Descent". nssdc.gsfc.nasa.gov. Retrieved 20 April 2019. ^ "Zond 4". nssdc.gsfc.nasa.gov. Retrieved 16 April 2019. ^ "In Depth | Zond 4". Solar System Exploration: NASA Science. Retrieved 16 April 2019. ^ Wong, Michael (6 March 2018). "50 Years Ago: Zond 4 launched successfully". NASA. Retrieved 16 April 2019. ^ "Luna 14". nssdc.gsfc.nasa.gov. Retrieved 15 April 2019. ^ "Zond 5". nssdc.gsfc.nasa.gov. Retrieved 16 April 2019. ^ "In Depth | Zond 5". Solar System Exploration: NASA Science. Retrieved 16 April 2019. ^ Greeley, R. (17 April 2013). Planetary Landscapes. Springer Science & Business Media. p. 20. ISBN 9781475722932. ^ "Apollo 7". nssdc.gsfc.nasa.gov. Retrieved 20 April 2019. ^ a b c d e "Apollo | History, Missions, & Facts". Encyclopedia Britannica. Retrieved 20 April 2019. ^ "Pioneer 9". nssdc.gsfc.nasa.gov. Retrieved 16 April 2019. ^ "In Depth | Pioneer 09". Solar System Exploration: NASA Science. Retrieved 16 April 2019. ^ "Zond 6". nssdc.gsfc.nasa.gov. Retrieved 16 April 2019. ^ "In Depth | Zond 6". Solar System Exploration: NASA Science. Retrieved 16 April 2019. ^ "Apollo 8". nssdc.gsfc.nasa.gov. Retrieved 20 April 2019. ^ "In Depth | Apollo 8". NASA Solar System Exploration. Retrieved 20 April 2019. ^ "Venera 5". nssdc.gsfc.nasa.gov. Retrieved 15 April 2019. ^ "Venera 6". nssdc.gsfc.nasa.gov. Retrieved 15 April 2019. ^ "Mariner 6". nssdc.gsfc.nasa.gov. Retrieved 16 April 2019. ^ "In Depth | Mariner 06". Solar System Exploration: NASA Science. Retrieved 16 April 2019. ^ "Apollo 9". nssdc.gsfc.nasa.gov. Retrieved 20 April 2019. ^ "Mariner 7". nssdc.gsfc.nasa.gov. Retrieved 16 April 2019. ^ "In Depth | Mariner 07". Solar System Exploration: NASA Science. Retrieved 16 April 2019. ^ "Apollo 10". nssdc.gsfc.nasa.gov. Retrieved 20 April 2019. ^ "In Depth | Apollo 10". NASA Solar System Exploration. Retrieved 20 April 2019. ^ "Luna 15". nssdc.gsfc.nasa.gov. Retrieved 15 April 2019. ^ "In Depth | Luna 15". Solar System Exploration: NASA Science. Retrieved 15 April 2019. 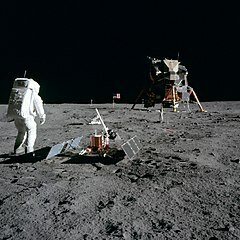 ^ "Apollo 11 | Facts & Pictures". Encyclopedia Britannica. Retrieved 20 April 2019. ^ "In Depth | Apollo 11". NASA Solar System Exploration. Retrieved 20 April 2019. 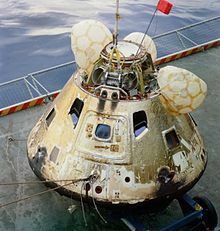 ^ "Apollo 11 Command and Service Module (CSM)". nssdc.gsfc.nasa.gov. Retrieved 20 April 2019. ^ "Apollo 11 Lunar Module / EASEP". nssdc.gsfc.nasa.gov. Retrieved 20 April 2019. ^ "Apollo 11 Lunar Sample Overview". www.lpi.usra.edu. Retrieved 20 April 2019. ^ "Zond 7". nssdc.gsfc.nasa.gov. Retrieved 16 April 2019. ^ "In Depth | Zond 7". Solar System Exploration: NASA Science. Retrieved 16 April 2019. ^ "Apollo 12 Command and Service Module (CSM)". nssdc.gsfc.nasa.gov. Retrieved 20 April 2019. ^ "Apollo 12 Lunar Module / ALSEP". nssdc.gsfc.nasa.gov. Retrieved 20 April 2019. ^ "In Depth | Apollo 12". NASA Solar System Exploration. Retrieved 20 April 2019. ^ "Apollo 13 | United States spaceflight". Encyclopedia Britannica. Retrieved 20 April 2019. ^ "Apollo 13 Command and Service Module (CSM)". nssdc.gsfc.nasa.gov. Retrieved 20 April 2019. ^ "Apollo 13 Lunar Module/ALSEP". nssdc.gsfc.nasa.gov. Retrieved 20 April 2019. ^ "In Depth | Apollo 13". NASA Solar System Exploration. Retrieved 20 April 2019. ^ "Venera 7". nssdc.gsfc.nasa.gov. Retrieved 16 April 2019. ^ "In Depth | Venera 7". Solar System Exploration: NASA Science. Retrieved 16 April 2019. ^ "Luna 16". nssdc.gsfc.nasa.gov. Retrieved 15 April 2019. ^ "Zond 8". nssdc.gsfc.nasa.gov. Retrieved 16 April 2019. ^ "In Depth | Zond 8". Solar System Exploration: NASA Science. Retrieved 16 April 2019. ^ Howell, Elizabeth (20 December 2016). "Lunokhod 1: 1st Successful Lunar Rover". Space.com. Retrieved 15 April 2019. ^ "Apollo 14 Command and Service Module (CSM)". nssdc.gsfc.nasa.gov. Retrieved 20 April 2019. ^ "Apollo 14 Lunar Module /ALSEP". nssdc.gsfc.nasa.gov. Retrieved 15 April 2019. ^ "In Depth | Apollo 14". NASA Solar System Exploration. Retrieved 20 April 2019. ^ "Salyut 1". nssdc.gsfc.nasa.gov. Retrieved 17 April 2019. ^ "Salyut | History & Facts". Encyclopedia Britannica. Retrieved 17 April 2019. ^ "Mars 2". nssdc.gsfc.nasa.gov. Retrieved 17 April 2019. ^ "Mars 2 Lander". nssdc.gsfc.nasa.gov. Retrieved 17 April 2019. ^ "In Depth | Mars 02". NASA Solar System Exploration. Retrieved 17 April 2019. ^ Coletta, Damon; Pilch, Frances T. (16 October 2009). Space and Defense Policy. Routledge. p. 428. ISBN 9781135969653. ^ Genta, Giancarlo (30 December 2016). Next Stop Mars: The Why, How, and When of Human Missions. Springer. p. 219. ISBN 9783319443119. ^ "Mars 3". nssdc.gsfc.nasa.gov. Retrieved 17 April 2019. ^ "Mars 3 Lander". nssdc.gsfc.nasa.gov. Retrieved 17 April 2019. ^ "In Depth | Mars 03". NASA Solar System Exploration. Retrieved 17 April 2019. ^ "Mars - Spacecraft exploration". Encyclopedia Britannica. Retrieved 17 April 2019. ^ "NASA Mars Orbiter Images May Show 1971 Soviet Lander". NASA’s Mars Exploration Program. Retrieved 17 April 2019. Mars 3 became the first successful soft landing on the Red Planet, but stopped transmitting after just 14.5 seconds for unknown reasons. ^ "Mariner 9". nssdc.gsfc.nasa.gov. Retrieved 16 April 2019. ^ "In Depth | Mariner 09". Solar System Exploration: NASA Science. Retrieved 16 April 2019. ^ "Apollo 15 Command and Service Module (CSM)". nssdc.gsfc.nasa.gov. Retrieved 20 April 2019. ^ "Apollo 15 Lunar Module /ALSEP". nssdc.gsfc.nasa.gov. Retrieved 20 April 2019. ^ "In Depth | Apollo 15". NASA Solar System Exploration. Retrieved 20 April 2019. ^ "Luna 18". nssdc.gsfc.nasa.gov. Retrieved 15 April 2019. ^ "In Depth | Luna 18". Solar System Exploration: NASA Science. Retrieved 15 April 2019. ^ "Luna 19". nssdc.gsfc.nasa.gov. Retrieved 15 April 2019. ^ "Luna 20". nssdc.gsfc.nasa.gov. Retrieved 15 April 2019. 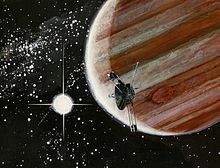 ^ "Pioneer 10". nssdc.gsfc.nasa.gov. Retrieved 16 April 2019. ^ "In Depth | Pioneer 10". Solar System Exploration: NASA Science. Retrieved 16 April 2019. ^ a b "Pioneer | space probes". Encyclopedia Britannica. Retrieved 16 April 2019. ^ "Venera 8". nssdc.gsfc.nasa.gov. Retrieved 16 April 2019. ^ "In Depth | Venera 8". Solar System Exploration: NASA Science. Retrieved 16 April 2019. ^ "Apollo 16 Command and Service Module (CSM)". nssdc.gsfc.nasa.gov. Retrieved 20 April 2019. ^ "Apollo 16 Lunar Module /ALSEP". nssdc.gsfc.nasa.gov. Retrieved 20 April 2019. ^ "In Depth | Apollo 16". NASA Solar System Exploration. Retrieved 20 April 2019. ^ "Apollo 17 | Overview & Facts". Encyclopedia Britannica. Retrieved 20 April 2019. ^ "Apollo 17 Command and Service Module (CSM)". nssdc.gsfc.nasa.gov. Retrieved 20 April 2019. ^ "Apollo 17 Lunar Module /ALSEP". nssdc.gsfc.nasa.gov. Retrieved 20 April 2019. ^ "In Depth | Apollo 17". NASA Solar System Exploration. Retrieved 20 April 2019. ^ "Luna 21/Lunokhod 2". nssdc.gsfc.nasa.gov. Retrieved 15 April 2019. ^ "Pioneer 11". nssdc.gsfc.nasa.gov. Retrieved 16 April 2019. ^ "In Depth | Pioneer 11". Solar System Exploration: NASA Science. Retrieved 16 April 2019. ^ "Skylab". nssdc.gsfc.nasa.gov. Retrieved 17 April 2019. ^ "Skylab | United States space station". Encyclopedia Britannica. Retrieved 17 April 2019. ^ "RAE-B". nssdc.gsfc.nasa.gov. Retrieved 17 April 2019. ^ "In Depth | Explorer 49". NASA Solar System Exploration. Retrieved 17 April 2019. ^ "Mars 4". nssdc.gsfc.nasa.gov. Retrieved 19 April 2019. ^ "In Depth | Mars 04". NASA Solar System Exploration. Retrieved 19 April 2019. ^ "Mars 5". nssdc.gsfc.nasa.gov. Retrieved 19 April 2019. ^ "In Depth | Mars 05". NASA Solar System Exploration. Retrieved 19 April 2019. ^ "Mars 6". nssdc.gsfc.nasa.gov. Retrieved 19 April 2019. ^ "In Depth | Mars 06". NASA Solar System Exploration. Retrieved 19 April 2019. ^ "Mars 7". nssdc.gsfc.nasa.gov. Retrieved 19 April 2019. ^ "In Depth | Mars 07". NASA Solar System Exploration. Retrieved 19 April 2019. 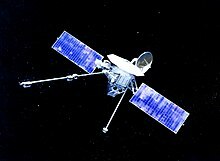 ^ "Mariner 10". nssdc.gsfc.nasa.gov. Retrieved 16 April 2019. ^ "In Depth | Mariner 10". Solar System Exploration: NASA Science. Retrieved 16 April 2019. ^ "Mariner | United States space probes". Encyclopedia Britannica. Retrieved 16 April 2019. ^ "Luna 22". nssdc.gsfc.nasa.gov. Retrieved 15 April 2019. ^ "Luna 23". nssdc.gsfc.nasa.gov. Retrieved 15 April 2019. ^ "Helios-A". nssdc.gsfc.nasa.gov. Retrieved 18 April 2019. ^ "In Depth | Helios 1". NASA Solar System Exploration. Retrieved 18 April 2019. ^ "Venera 9". nssdc.gsfc.nasa.gov. Retrieved 16 April 2019. ^ "Venera 9 Descent Craft". nssdc.gsfc.nasa.gov. Retrieved 16 April 2019. ^ "In Depth | Venera 9". Solar System Exploration: NASA Science. Retrieved 16 April 2019. ^ "Venera 10". nssdc.gsfc.nasa.gov. Retrieved 16 April 2019. ^ "Venera 10 Descent Craft". nssdc.gsfc.nasa.gov. Retrieved 16 April 2019. ^ "In Depth | Venera 10". Solar System Exploration: NASA Science. Retrieved 16 April 2019. ^ "Viking 1 Orbiter". nssdc.gsfc.nasa.gov. Retrieved 19 April 2019. ^ "Viking 1 Lander". nssdc.gsfc.nasa.gov. Retrieved 19 April 2019. ^ "In Depth | Viking 1". NASA Solar System Exploration. Retrieved 19 April 2019. ^ a b "Viking | spacecraft". Encyclopedia Britannica. Retrieved 19 April 2019. ^ "Viking 2 Orbiter". nssdc.gsfc.nasa.gov. Retrieved 19 April 2019. ^ "Viking 2 Lander". nssdc.gsfc.nasa.gov. Retrieved 19 April 2019. ^ "In Depth | Viking 2". NASA Solar System Exploration. Retrieved 19 April 2019. 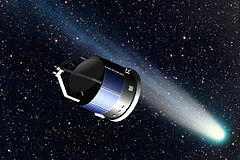 ^ "Helios-B". nssdc.gsfc.nasa.gov. Retrieved 18 April 2019. ^ "Helios 2". NASA Solar System Exploration. Retrieved 18 April 2019. ^ "Luna 24". nssdc.gsfc.nasa.gov. Retrieved 15 April 2019. ^ "Voyager 2". nssdc.gsfc.nasa.gov. Retrieved 18 April 2019. ^ "In Depth | Voyager 2". NASA Solar System Exploration. Retrieved 18 April 2019. ^ a b "Voyager | Definition, Discoveries, & Facts". Encyclopedia Britannica. Retrieved 18 April 2019. 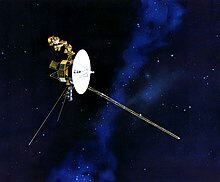 ^ "Voyager 1". nssdc.gsfc.nasa.gov. Retrieved 18 April 2019. ^ "In Depth | Voyager 1". NASA Solar System Exploration. Retrieved 18 April 2019. ^ "Pioneer Venus Orbiter". nssdc.gsfc.nasa.gov. Retrieved 19 April 2019. ^ "In Depth | Pioneer Venus 1". NASA Solar System Exploration. Retrieved 19 April 2019. ^ "Pioneer Venus Probe Bus". nssdc.gsfc.nasa.gov. Retrieved 19 April 2019. ^ "In Depth | Pioneer Venus 2". NASA Solar System Exploration. Retrieved 19 April 2019. ^ "ISEE 3". nssdc.gsfc.nasa.gov. Retrieved 18 April 2019. ^ "In Depth | ISEE-3/ICE". NASA Solar System Exploration. Retrieved 18 April 2019. ^ "ISEE-3/ICE". stardust.jpl.nasa.gov. Retrieved 19 April 2019. ^ "Venera 11". nssdc.gsfc.nasa.gov. Retrieved 16 April 2019. ^ "Venera 11 Descent Craft". nssdc.gsfc.nasa.gov. Retrieved 16 April 2019. ^ "In Depth | Venera 11". Solar System Exploration: NASA Science. Retrieved 16 April 2019. ^ "Venera 12". nssdc.gsfc.nasa.gov. Retrieved 16 April 2019. ^ "Venera 12 Descent Craft". nssdc.gsfc.nasa.gov. Retrieved 16 April 2019. ^ "In Depth | Venera 12". Solar System Exploration: NASA Science. Retrieved 16 April 2019. ^ "Venera 13". nssdc.gsfc.nasa.gov. Retrieved 16 April 2019. ^ "Venera 13 Descent Craft". nssdc.gsfc.nasa.gov. Retrieved 16 April 2019. ^ "In Depth | Venera 13". Solar System Exploration: NASA Science. Retrieved 16 April 2019. ^ "Venera 14". nssdc.gsfc.nasa.gov. Retrieved 16 April 2019. ^ "Venera 14 Descent Craft". nssdc.gsfc.nasa.gov. Retrieved 16 April 2019. ^ "In Depth | Venera 14". Solar System Exploration: NASA Science. Retrieved 16 April 2019. ^ "Venera 15". nssdc.gsfc.nasa.gov. Retrieved 15 April 2019. ^ "In Depth | Venera 15". Solar System Exploration: NASA Science. Retrieved 16 April 2019. ^ "Venera 16". nssdc.gsfc.nasa.gov. Retrieved 15 April 2019. ^ "In Depth | Venera 16". Solar System Exploration: NASA Science. Retrieved 16 April 2019. ^ "Vega 1". nssdc.gsfc.nasa.gov. Retrieved 19 April 2019. ^ "Vega 1 Descent Craft". nssdc.gsfc.nasa.gov. Retrieved 19 April 2019. ^ "Vega 1 Balloon". nssdc.gsfc.nasa.gov. Retrieved 19 April 2019. ^ "In Depth | Vega 1". NASA Solar System Exploration. Retrieved 19 April 2019. ^ a b "Vega 1 & 2". stardust.jpl.nasa.gov. Retrieved 19 April 2019. ^ "Vega 2". nssdc.gsfc.nasa.gov. Retrieved 19 April 2019. ^ "Vega 2 Descent Craft". nssdc.gsfc.nasa.gov. Retrieved 19 April 2019. ^ "Vega 2 Balloon". nssdc.gsfc.nasa.gov. Retrieved 19 April 2019. ^ "In Depth | Vega 2". NASA Solar System Exploration. Retrieved 19 April 2019. ^ "Sakigake". nssdc.gsfc.nasa.gov. Retrieved 17 April 2019. ^ "In Depth | Sakigake". NASA Solar System Exploration. Retrieved 17 April 2019. ^ "Giotto". nssdc.gsfc.nasa.gov. Retrieved 19 April 2019. ^ "In Depth | Giotto". NASA Solar System Exploration. Retrieved 19 April 2019. ^ "Giotto". stardust.jpl.nasa.gov. Retrieved 19 April 2019. ^ "Suisei". nssdc.gsfc.nasa.gov. Retrieved 19 April 2019. ^ "In Depth | Suisei". NASA Solar System Exploration. Retrieved 19 April 2019. ^ "Mir". nssdc.gsfc.nasa.gov. Retrieved 19 April 2019. 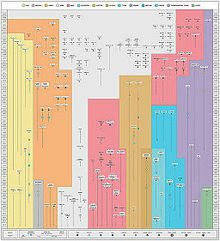 ^ "Mir | Description, Launch, History, & Facts". Encyclopedia Britannica. Retrieved 19 April 2019. ^ Hamilton, John (15 December 2018). Space Stations and Beyond. ABDO. p. 30. ISBN 9781532171598. ^ "Phobos 1". nssdc.gsfc.nasa.gov. Retrieved 19 April 2019. ^ "In Depth | Fobos 1". NASA Solar System Exploration. Retrieved 19 April 2019. ^ "Phobos 2". nssdc.gsfc.nasa.gov. Retrieved 19 April 2019. ^ "In Depth | Fobos 2". NASA Solar System Exploration. Retrieved 19 April 2019. ^ "Magellan". nssdc.gsfc.nasa.gov. Retrieved 17 April 2019. ^ "In Depth | Magellan". NASA Solar System Exploration. Retrieved 17 April 2019. ^ "Galileo Orbiter". nssdc.gsfc.nasa.gov. Retrieved 19 April 2019. ^ "Galileo Probe". nssdc.gsfc.nasa.gov. Retrieved 19 April 2019. ^ "Galileo - In Depth". NASA Solar System Exploration. Retrieved 19 April 2019. ^ "In Depth | Galileo Probe". NASA Solar System Exploration. Retrieved 19 April 2019. ^ "Hiten". nssdc.gsfc.nasa.gov. Retrieved 20 April 2019. ^ "In Depth | Hiten / Hagoromo". NASA Solar System Exploration. Retrieved 20 April 2019. ^ "In Depth | Hubble Space Telescope". NASA Solar System Exploration. Retrieved 20 April 2019. ^ "HST". nssdc.gsfc.nasa.gov. Retrieved 20 April 2019. ^ "Hubble Space Telescope | History, Discoveries, & Facts". Encyclopedia Britannica. Retrieved 20 April 2019. ^ "Ulysses". nssdc.gsfc.nasa.gov. Retrieved 20 April 2019. ^ "In Depth | Ulysses". NASA Solar System Exploration. Retrieved 20 April 2019. ^ "Ulysses | European-United States space probe". Encyclopedia Britannica. Retrieved 20 April 2019. ^ "Yohkoh". nssdc.gsfc.nasa.gov. Retrieved 20 April 2019. ^ "Yohkoh | Japanese satellite". Encyclopedia Britannica. Retrieved 20 April 2019. ^ "Mars Observer". nssdc.gsfc.nasa.gov. Retrieved 20 April 2019. ^ "In Depth | Mars Observer". NASA Solar System Exploration. Retrieved 20 April 2019. ^ "Clementine". nssdc.gsfc.nasa.gov. Retrieved 20 April 2019. ^ "In Depth | Clementine". NASA Solar System Exploration. Retrieved 20 April 2019. ^ "Clementine | spacecraft". Encyclopedia Britannica. Retrieved 20 April 2019. ^ "Wind". nssdc.gsfc.nasa.gov. Retrieved 17 April 2019. ^ "In Depth | Wind". NASA Solar System Exploration. Retrieved 17 April 2019. ^ "SOHO". nssdc.gsfc.nasa.gov. Retrieved 15 April 2019. ^ "In Depth | SOHO". NASA Solar System Exploration. Retrieved 20 April 2019. ^ "Solar and Heliospheric Observatory | satellite". Encyclopedia Britannica. Retrieved 20 April 2019. ^ "NEAR Shoemaker". nssdc.gsfc.nasa.gov. Retrieved 20 April 2019. ^ "In Depth | NEAR Shoemaker". NASA Solar System Exploration. Retrieved 20 April 2019. ^ "Near Earth Asteroid Rendezvous Shoemaker | spacecraft". Encyclopedia Britannica. Retrieved 20 April 2019. 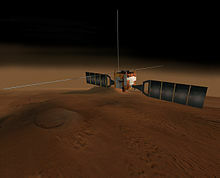 ^ "Mars Global Surveyor". nssdc.gsfc.nasa.gov. Retrieved 20 April 2019. ^ "In Depth | Mars Global Surveyor". NASA Solar System Exploration. Retrieved 20 April 2019. ^ "Mars 96 Orbiter". nssdc.gsfc.nasa.gov. Retrieved 20 April 2019. ^ "In Depth | Mars 08/Mars 96". NASA Solar System Exploration. Retrieved 20 April 2019. ^ "Mars Pathfinder". nssdc.gsfc.nasa.gov. Retrieved 20 April 2019. 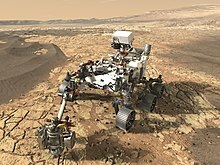 ^ "Mars Pathfinder Rover". nssdc.gsfc.nasa.gov. Retrieved 20 April 2019. ^ "In Depth | Mars Pathfinder". NASA Solar System Exploration. Retrieved 21 April 2019. ^ "ACE". nssdc.gsfc.nasa.gov. Retrieved 21 April 2019. ^ "In Depth | ACE". NASA Solar System Exploration. Retrieved 21 April 2019. 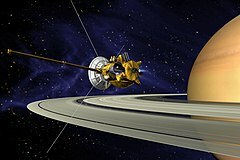 ^ "Cassini-Huygens | Facts, Dates, & Images". Encyclopedia Britannica. Retrieved 21 April 2019. ^ "Cassini". nssdc.gsfc.nasa.gov. Retrieved 21 April 2019. ^ "Huygens". nssdc.gsfc.nasa.gov. Retrieved 21 April 2019. ^ "Overview | Cassini". NASA Solar System Exploration. Retrieved 21 April 2019. ^ "In Depth | Huygens". NASA Solar System Exploration. Retrieved 21 April 2019. ^ "AsiaSat 3". nssdc.gsfc.nasa.gov. Retrieved 22 April 2019. ^ "In Depth | Asiasat 3/HGS-1". NASA Solar System Exploration. Retrieved 22 April 2019. ^ "Lunar Prospector". nssdc.gsfc.nasa.gov. Retrieved 24 April 2019. ^ "In Depth | Lunar Prospector". NASA Solar System Exploration. Retrieved 24 April 2019. ^ "Nozomi". nssdc.gsfc.nasa.gov. Retrieved 24 April 2019. ^ "In Depth | Nozomi". NASA Solar System Exploration. Retrieved 24 April 2019. ^ "Deep Space 1". nssdc.gsfc.nasa.gov. Retrieved 24 April 2019. ^ "In Depth | Deep Space 1". NASA Solar System Exploration. Retrieved 24 April 2019. ^ "International Space Station". nssdc.gsfc.nasa.gov. Retrieved 24 April 2019. As of November, 1998 the global participants, in addition to the United States, included Russia, Canada, Japan, Brazil, and ESA (Belgium, Britain, Denmark, France, Germany, Italy, The Netherlands, Norway, Spain, Sweden, and Switzerland). ^ "International Space Station | Facts, Missions, & History". Encyclopedia Britannica. Retrieved 24 April 2019. Aside from the United States and Russia, station construction involved Canada, Japan, Brazil, and 11 ESA members. ^ Chang, Kenneth (18 July 2015). "The Long, Strange Trip to Pluto, and How NASA Nearly Missed It". New York Times. Retrieved 19 July 2015. ^ "China's space program shoots for moon, Mars, Venus". The Guardian. 13 July 2011. Retrieved 13 July 2011. ^ "GSLV-Mk III / Chandrayaan-2 Mission - ISRO". www.isro.gov.in. Retrieved 15 April 2019. ^ "Solar Orbiter". sci.esa.int. Retrieved 15 April 2019. ^ "UAE plans to launch mission to Mars in 2021". Thenational.ae. Retrieved 11 August 2017. 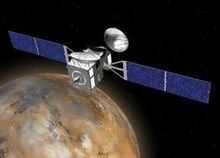 ^ "UAE's names Mars probe Hope". Thenational.ae. Retrieved 11 August 2017. ^ "惑星資源探査 ⼩型テラヘルツ探査機" (PDF) (in Japanese). National Institute of Information and Communications Technology. 25 January 2017. Retrieved 13 May 2017. ^ Yamazaki, Keisuke (27 March 2017). "Japan planning 2020 mission to put satellite in Martian orbit". The Asahi Shimbun. Retrieved 13 May 2017. ^ "Mars 2020 Rover". mars.nasa.gov. Retrieved 15 April 2019. ^ a b Northon, Karen (4 January 2017). "NASA Selects Two Missions to Explore the Early Solar System". NASA. Retrieved 15 April 2019. ^ Rivkin, Andy (27 September 2018). "Asteroids have been hitting the Earth for billions of years. In 2022, we hit back". Applied Physics Laboratory. Retrieved 31 October 2018. ^ "JUICE's journey to Jupiter". sci.esa.int. Retrieved 15 April 2019. ^ "What's next for China in lunar exploration?". Planetary.org. 23 January 2019. ^ Yamakawa, Hiroshi; Le Gall, Jean-Yves; Ehrenfreund, Pascale; Dittus, Hansjörg (3 October 2018). "Joint Statement with Centre National d'Etudes Spatiales (CNES) and German Aerospace Center (DLR) regarding Martian Moons eXploration" (PDF) (Press release). JAXA. Retrieved 30 October 2018. ^ "Сроки пусков аппаратов "Интергелиозонд" и "Миллиметрон" перенесены". РИА Новости (in Russian). 4 February 2016. Retrieved 15 April 2019. ^ "U.S. and China Both Want to Launch a Mars Sample Return Mission Before 2030". Popular Mechanics. 28 December 2017. ^ "China just landed a spacecraft on the moon's far side for the first time in history. Here's why the mission may be revolutionary". Business Insider. 3 January 2019. ^ a b c d e "Российские космонавты высадятся на Луну в 2031 году". РИА Новости (in Russian). 9 February 2019. ^ "中国嫦娥探月工程进展顺利 进度将有望加快--军事频道-中华网-中国最大职业人士门户". military.china.com. Archived from the original on 9 February 2012. Retrieved 11 August 2017. ^ Пилотируемый полет на Марс будет возможен после 2040 года - Роскосмос. versii.com (in Russian). Retrieved 22 August 2014.